For the past two years, I’ve heard hoteliers complaining about Airbnb, calling it “unfair competition” and “a disaster for the hotel industry”. 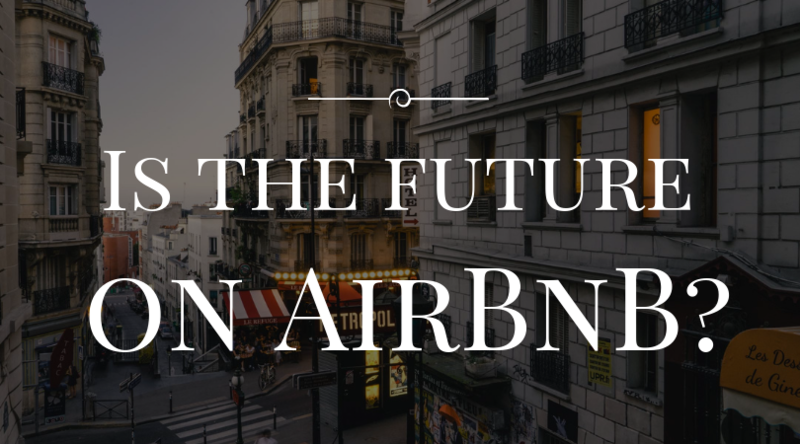 But yesterday, for the first time, one of my hotelier friends brought up a pertinent question: What if the future of independent hotels is on Airbnb? Shocking, isn’t it! And yet it’s a legitimate thought. When I asked about his experimentation over the past few months, I found his responses and various observations very interesting. Let’s take a look at them together. In August 2016, my hotelier friend broadened his hotel’s distribution strategy to include Airbnb. He’s renting his rooms there! It’s true. He started by offering just one room on the platform, but very quickly increased his stock to offer three. Of course, the technology isn’t as precise yet as it is with the major OTAs (channel managers, connecting to a PMS, etc.). It takes a little more time to manage. But in December 2016, his hotel booked around twenty overnight stays through the platform, and paid only 3% commission. The returns are definitely worth the time invested. Including breakfast for all Airbnb reservations. Highlighting the daily services included in the price. Publishing a photo of each room on the site. Airbnb isn’t an OTA. It’s not a large-scale distribution platform like Booking.com, Expedia and the rest. With Airbnb, guests go “to the vendor’s home”. This means that the guidelines are different. They emphasize the human side of the accommodations and the presence of the host. But isn’t that exactly what we say about independent hotels, where travelers like to stay because they know they’ll be greeted with genuine human friendliness? Airbnb’s philosophy actually matches our profession perfectly. Giving guests a cell phone number to call. Offering them the option of chatting on WhatsApp. Providing the first and last name of a specific contact person. Sending them friendly email replies. Why do guests reserve a hotel room on Airbnb? We might wonder why a guest would reserve a hotel room on Airbnb when hotels really aren’t the point of the platform. What the guest is actually looking for gives us the answer. A survey completed by each personal guest as soon as s/he arrived at the hotel provided the precise reasons behind his/her choice, as well as other details that you can use to tailor your future messages on Airbnb. Breakfast is included. Hotels are known for providing choices and high quality where breakfast is concerned, and it’s easier and less expensive than going to the corner cafe. Service is included. Guests like knowing that someone will be there to help them if they run into any problems. 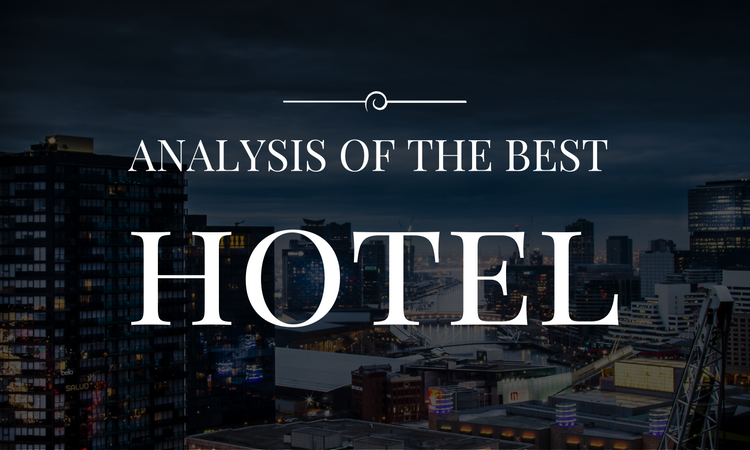 What’s more, hotels are known for having information about the best local spots. After a long day exploring the city, guests love coming back to find their rooms cleaned and freshened up. Security: your guests know where “home” is, and in a hotel they feel safe from any unpleasant surprises. Luggage: letting guests store their luggage for free when they arrive or leave provides a valuable logistical solution. It allows them to keep enjoying the city outside of check-in and check-out hours. In short, yes, web users are definitely comfortable with reserving a hotel on Airbnb. These days everyone’s talking about the guest experience, and how important it is to building guest loyalty. 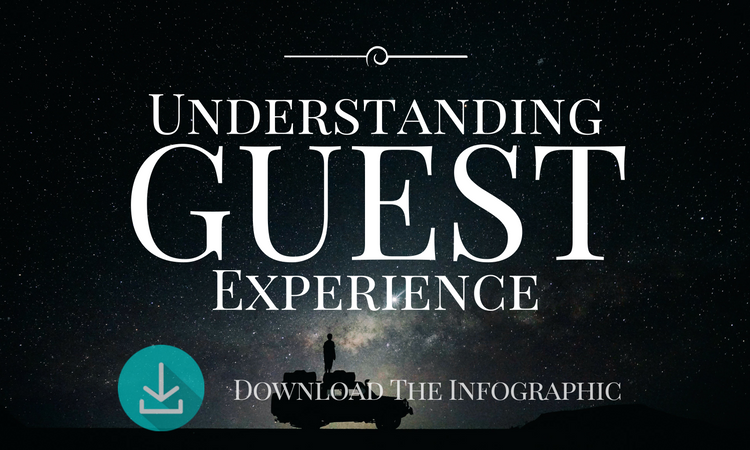 But what does “guest experience” really mean? These three points are becoming more and more important in the hotel business. But aren’t they also the main points emphasized in the Airbnb philosophy? Here’s an example: when reading the guest comments we receive through our Experience Hotel platform, we’ve noticed that being in direct contact with a person at the hotel is considered a hallmark of 1) quality service, 2) valued assistance and 3) a customized stay. The hotel industry is slowly returning to a “homestyle” welcome, and eventually it will completely adopt the Airbnb philosophy. The tool lets you see all the offers in your city and/or neighborhood. Here’s an example: http://insideAirbnb.com/paris/?neighbourhood=Louvre&filterEntireHomes=false&filterHighlyAvailable=false&filterRecentReviews=false&filterMultiListings=false shows you all the offers near the Louvre in Paris. We find an average price of €139/night. Around 125 nights are reserved every year per offer, 38.8% of the owners have several apartments in Paris, etc. Hoteliers are more and more frustrated with large-scale distribution. Even though most of them agree that it’s normal to pay a commission for a new guest, they object to the increase in abusive practices: brand theft, guest poaching, mass reservation cancellations, ever-increasing commissions, forced rate parity, deletion of guest contact information, etc. For years I’ve been hearing hoteliers say, “We’ve all got to agree to stop giving them a stock of rooms to rent.” Unfortunately, it’s a pipe dream; no one is going to dive into a movement like that overnight. These days, the risk of not being able to rent all your rooms is much too high. That’s why the hotel industry remains dependent on OTAs. Airbnb is offering us another route. Try it. Creating a new distribution channel will allow you to fill all your reservable space bit by bit, without the OTAs and their high commissions. Your hotel won’t be running any risks. You’ll just need a little time to set it up. Another non-negligible result of significantly lowering the revenue generated by OTA channels is that the OTAs will have to stop their abusive behavior in order to win hoteliers back. It’s a much more subtle and effective strategy than a frontal assault on the giants of the hotel industry. Airbnb isn’t perfect; it legitimizes and increases unfair competition from homeowners who host tourists year-round outside of any legal framework. Try the Airbnb experiment anyway. Take the necessary time to register your hotel on the platform. Follow the tips in this article, and start reversing the current trend. My dear hoteliers, I’d love to hear from those of you who decide to take up this challenge. Please tell me about any helpful hints you discover. Airbnb may not be the enemy we thought it was. It may become the friend hoteliers have been waiting for to bring balance back to our industry.